Three versions of Maid Marian (a 13th century character associated with Robin Hood), of which the more authentic outfit is that of the fox. 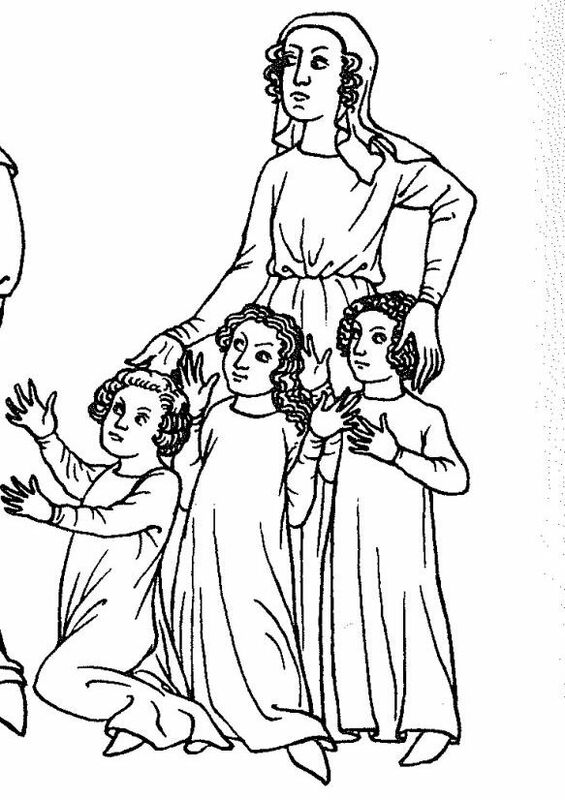 If there’s one aspect of medieval history I love most, it’s the clothing, especially women’s clothing. The clothing, incidentally, is one of the aspects Hollywood most often get wrong. I can’t entirely blame Hollywood. It’s not their fault some of the best medieval fodder for movies and shows – e.g. the Norman Conquest; the Anarchy; the Crusades; Magna Carta and the First Barons’ War – occurred early in the four hundred-ish years comprising the Middle Ages. At that time, people’s fashion sense was neither overly fashionable by modern standards nor particularly memorable. Many Hollywood movies, when looking to replicate a “medieval” outfit, tend to zero in somewhere around the 15th century. This trend is particularly pronounced with women’s clothing: the dresses are long, flowing, form-fitting, fairly silky or satiny looking, and kitted out with adornments like buttons, embroidery, gold thread, and a truly architectural wonder of a headdress. 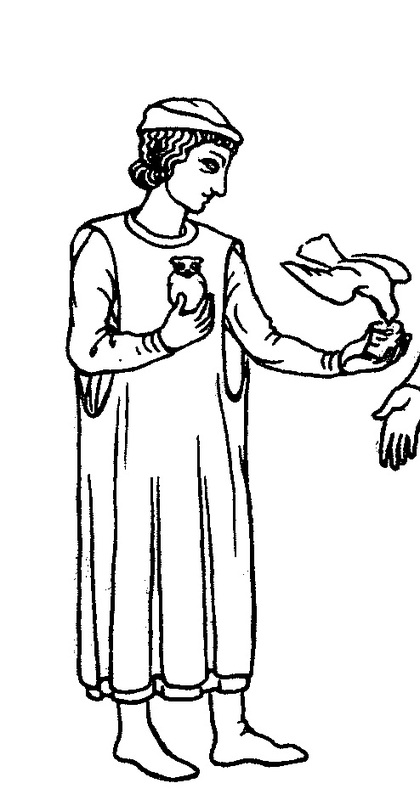 Ignoring the fact that such an outfit would only be worn by a noblewoman of substantial wealth (even for middling noblewomen, it would likely be beyond their means), to use it in a show set in, say, the early 13th century when my WIP is set would be to ignore certain facts about medieval clothing design. This resulted in clothing that tended to be rather shapeless, requiring a belt (in those days called a girdle) to draw in the access hanging material and show some semblance of the wearer’s body shape. My noncommittal use of “dressmaker” comes not from this penchant for ill-fitting clothing, but the fact that there was no such thing as “dresses” per se in the 13th century. Neither was a “dress”, as it were, a singular garment to be worn, but rather an ensemble of four key layers. All of this, in most cases, would be made of some manner of wool – finer and smoother for the wealthy, coarser for the lower classes. For children, the clothing was just a smaller, more simplified version of the above. Both men and women wore a girdle, either knotted or fastened with a metal buckle. Men’s tunics and surcoats were generally shorter, falling anywhere from below the knee to mid-calf, and also slit up from the knee for greater ease of movement, especially while riding a horse. Women’s came to the floor to completely cover her ankles and would drag if not gathered when walking. 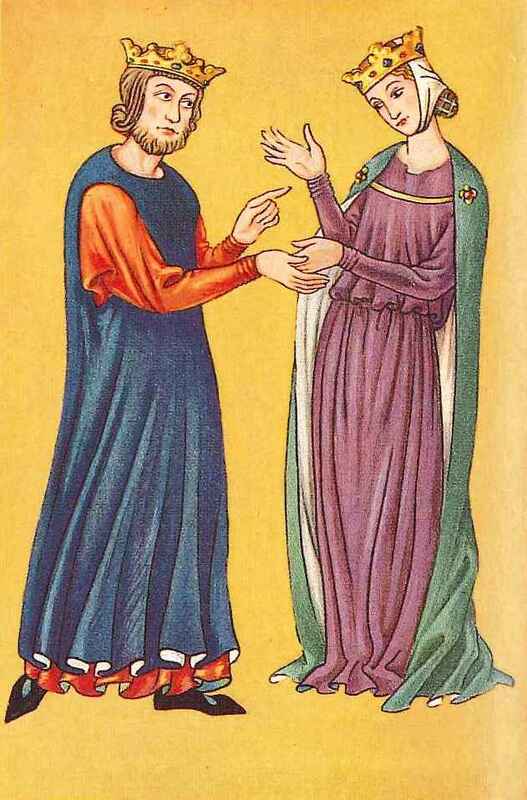 There are two other elements of 13th century dress often missing from Hollywood portrayals – two things common to both men and woman that I pay especial attention to in my writing. The first is a love of colour. In Hollywood movies, the clothing of both sexes always follows our modern colour sensibilities: subdued, matching, specifically chosen to complement of complexion and character of the wearer. In the 13th century, however, bright colours were the norm, both as a status symbol (dyes and materials that held dye the best were expensive) and as a means to brighten up dreary and dimly-lit castles. Larbarge goes on to write that the most common colour for hose included green, blue, and orange. The second consideration is that men and women wore head coverings both indoors and out to protect against cold and drafts. For men, this was usually a linen coif (a form of skull cap fastened by strings under the chin) and for women, a linen veil and sometimes also a wimple, which covered the neck and went under the chin. This entry was posted in Building a History, Medieval Mondays, Writing and tagged 13th century, Historical fiction, History, I've suffered for my Art, Medieval clothing, Medieval times, Novel, Novel writing, Representation, Research, The Middle Ages. Bookmark the permalink. Love your commitment to detail Janna. It will help your work’s literary merit as well as being an entertainment. Thanks, Roy! I find the research invaluable in helping me figure out the events of the plot. As a woman, I think having a chemise as my only underwear would be dreadful.